#SugarFreeSeptember || Day 4 - CounterCultural. CounterCouture. So it’s day 4. How am I starting to feel? Well, other than being well and truly excited for my mini-break with Mum to Lille tomorrow for four days, I am feeling somewhat tired and sluggish. (Ok, that was the case until I had an amazing conversation with a colleague about religion and spirituality and faith, which perked me up enough to write this post.) But I have not resorted to my energy drug of choice, sugar. I haven’t necessarily been fantastic today but I have done my best and I’m even getting less hungry between meals and not snacking… most of the time but more on that later. So breakfast this morning was something of an experiment. I had my usual almond milk and vanilla protein shake but did away with the yogurt (became part of dinner) and the fruit components. 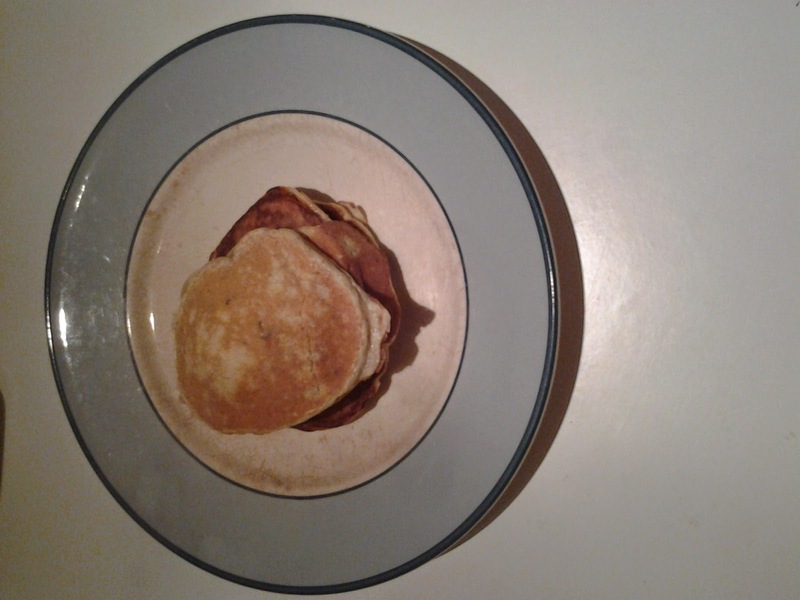 Instead I cooked, for the first time, protein pancakes. This did horrify my sister as I used her pancake pan but I found then really rather tasty. The combination of vanilla and cinnamon is very moreish while the texture isn’t dissimilar to eggy bread. So in a word, yum! 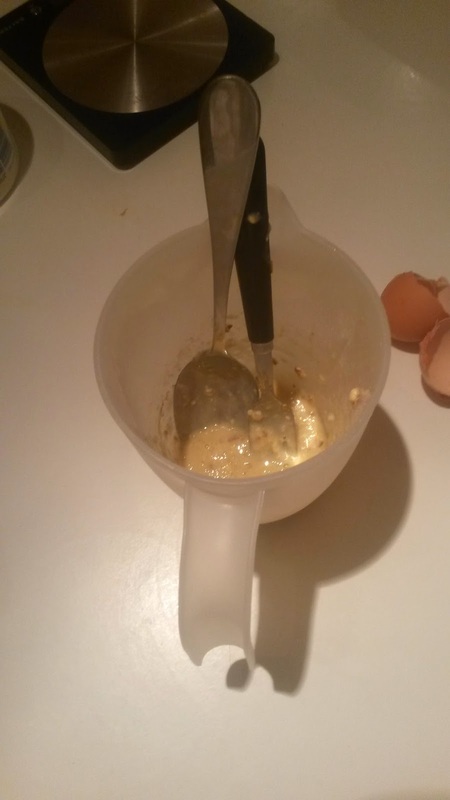 I stole the basic recipe from a fellow blogger, Angharad Jones (here), and made a few minor alterations to produce a novel, almost treat-like breakfast. 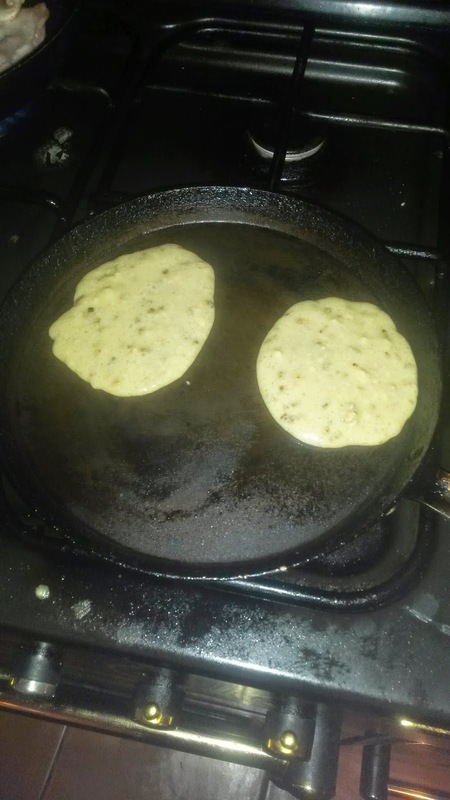 Mix all the ingredients into a bowl or jug to form a drop scone like batter. Fry for a few minutes on one side. Flip over and fry on the other side until done. 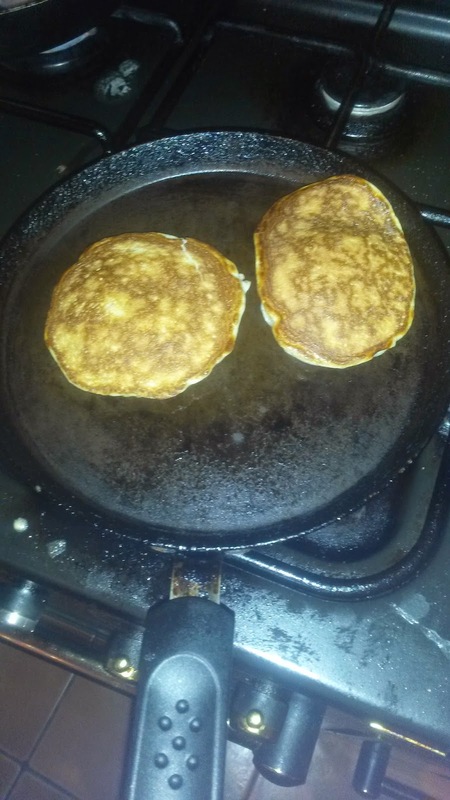 Voila, you have tasty protein pancakes. Top with what you like. Lunch today was largely the same. 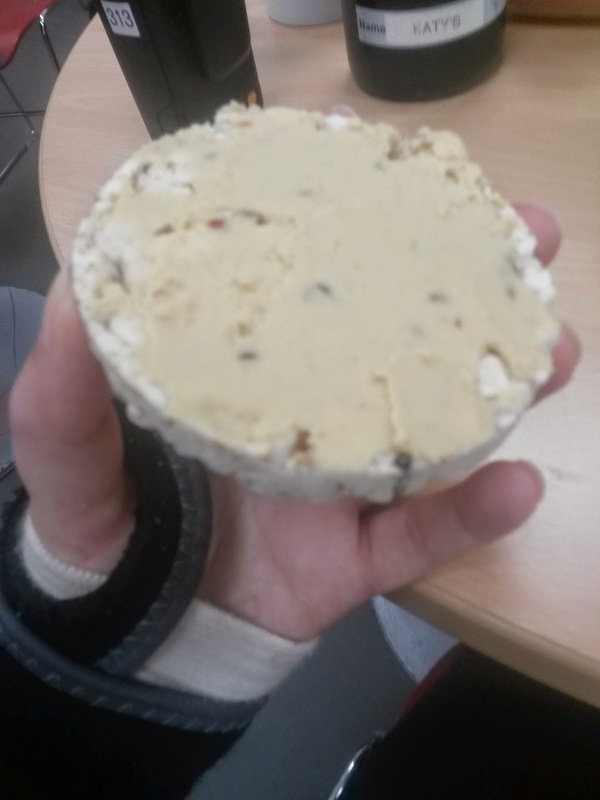 Houmous on rice cakes, beef and chicken salad and cayenne oil to dress it. So nothing too exciting or ground shaking. This was where I fell down today. You see, I was attending a presentation after hours at work but had no time to pick up extra food/forgot to do that. So instead of buying expensive, high in everything bad, sandwiches from the cafe, I picked up a love life soup from Waitrose. While still processed and microwaved, I felt it was a better option that the sandwiches as it contained under 10% sugar. 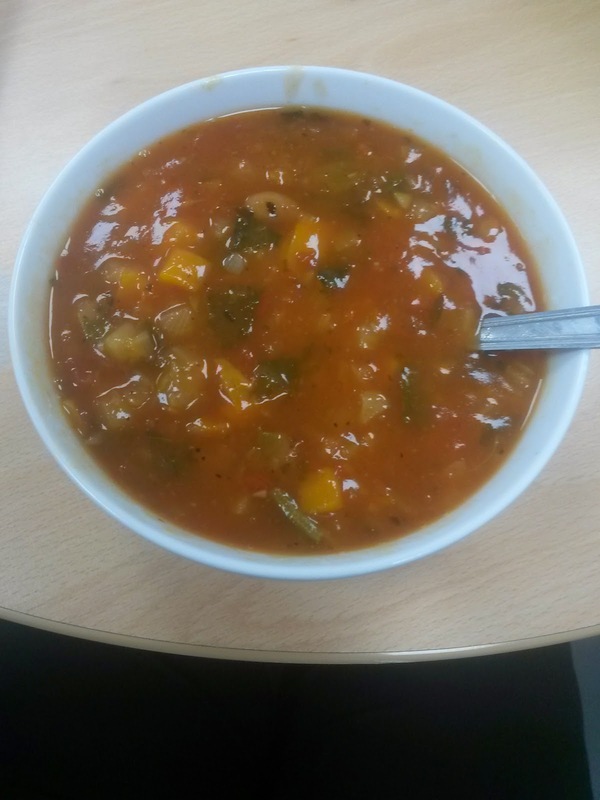 It was Italian bean soup with plenty of veg in it too, so high in everything I’ve been told to eat. Whether that makes it better I don’t know, but it removed a bit of my guilt. What I can tell you was it tasted gooooood but I shall not be having it again anytime soon. Alongside it I had my remaining houmous, veggie sticks and soya yogurt for pudding. And then I had 3 halves of sausage rolls at the presentation. I avoided the cakes and biscuits (YES!!!) but fell foul of the savouries as I gave in to my cravings. Let’s hope I can do better tomorrow when I’m travelling. Note to self; must not step in to Burger King or MacDonalds. Have you been doing #SugarFreeSeptember? How’s it going for you? Tweet me or tag me on Instagram at @katy_couture with your food pictures.